Strong of her family tradition, the Boulard-Bauquaire family devotes itself to the culture of the vine with passion, since 8 generations. 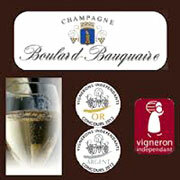 Denis Boulard chose to be established with his brothers with Cormicy around 1960. He took part in the rebirth of this vineyard. Today, his son Christophe and his Christiane wife combines know-how and modernity. 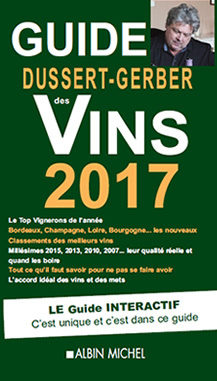 Their vines, resulting from the wine-growing zones of the solid mass of Saint-Thierry, the Montagne de Reims and Vallée de la Marne, make it possible to work out wines with the single and complex tastes. Followers of the durable vine growing, this couple of vine growers applies with the safeguarding of the medium, the maintenance of the biodiversity and the respect of the quality of the grounds, while working in the purest Champagne tradition. You will like this Champagne cuvée Mélanie, a blanc de blancs vinified out of barrels of oak, medal of money to the Concours des Vignerons Indépendants, which mixes structure and promptness at the same time, is of a nice aromatic complexity where nuances of lemon are found, distinguished, of a very beautiful persistence. Beautiful Champagne Vieilles Vignes premier cru, 100% Chardonnay, of nice golden robe, with the connotations of peach, fresh butter, almond, with an intense final, subtly spiced. Very also succeeded, the brut Champagne Carte Noire, 50% pinot noir, 50% pinot meunier, gold medal Vignerons Indépendants 2012, are persistent, of beautiful pale gold robe, with the honey and fresh nut, apricot notes, a Champagne where roundness and distinction join, at the same time delicate and robust, of a beautiful final. Grande Réserve is a vintage prevailed by a persistent elegance in mouth, at the same time very delicate and mature, combining roundness and nervousness, very out of structure, of a beautiful final. All in nuances, the brut rosé one, of abundant and fruity foam, is a vintage all in aromatic freshness, with notes of fresh fruits and violet, which associates savor and distinction with the palate. Taste also brut Tradition, 40% Chardonnay, 40% pinot noir, 20% pinot meunier, finely having a nice bouquet, of persistent mouth, with these subtle floral notes to which the dried fruits are added.